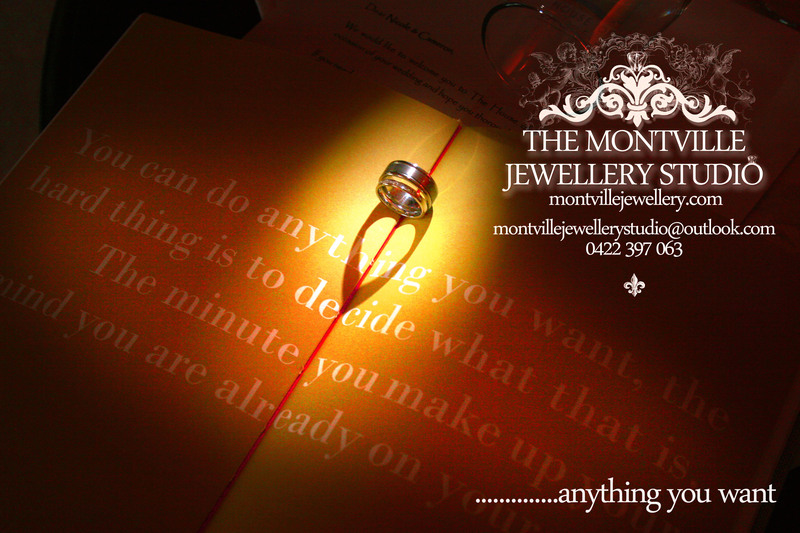 Make each other’s wedding rings at the Montville Jewellery Studio! Enjoy the unique experience and bragging rights for eternity that you made each other’s wedding rings at The Montville Jewellery Studio. Under the expert guidance of our Jeweller, Andrew James, enjoy the romance of designing and making your own wedding rings in one day! Andrew has thirty years experience with companies like Hardy Brothers, Harrods, Theo Fennell and Jewellery International Magazine. Book early to avoid disappointment as studio days are limited.